If your Zune player will not respond it could be locked. Slide the hold switch to the unlocked position and press the Play/Pause button. This will wake up the player and unlock it. 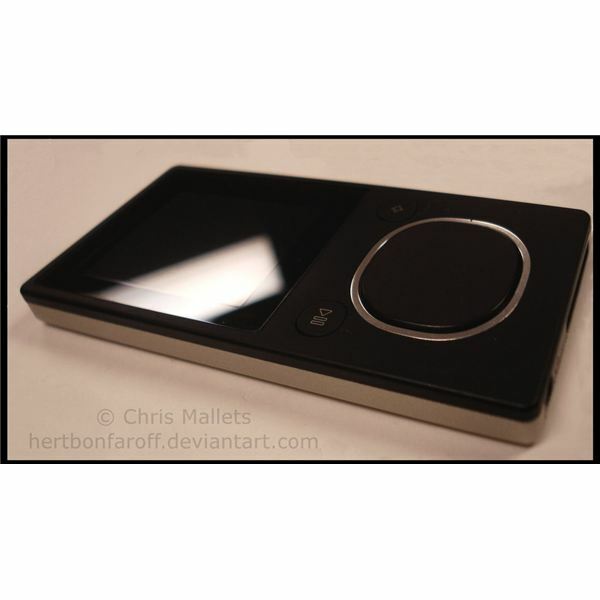 Press the On/Off button that is on the top of the Zune HD to power it off. Slide your finger across the screen to unlock it. If it does not turn on, try the procedure a second time. If your Zune will not respond it could not be charged. Connect your Zune Player to your computer via the USB cable included with it, and allow it to charge for 30 minutes. Disconnect and reconnect the Zune Player via the USB cable to a USB port on the back of your computer. Allow it to fully charge, which can take up to two hours. Slide the Hold switch to the unlocked position. Press and hold the Back button while you press the top of the Zune Pad. When the Zune Player starts to restart, release the buttons. Press and hold the On/Off button for approximately 10 seconds until the Zune player restarts. Updating and reinstalling the software on your Zune Player may fix the problem. Press and hold the On/Off button for approximately 10 seconds until the Zune player restarts. Immediately press and hold the Media button until you see the message Connect Zune to Your PC displayed on the screen. Connect the Zune to the computer that has the most recent version of the device software. Update the Zune player to the current version. If you still cannot use your Zune Player, continue with the next step. If your Zune player is still not responding, restore the software to the original state should fix it. When you restore the software, the content and software on the Zune player will be erased. This includes music, pictures, games and audio books currently on the Zune player. It returns your player to the state it was in when you first purchased it. Before you start this process, you should sync the Zune player with the Zune software on your computer to back up the content. Press and hold the On/Off button for approximately 10 seconds until the Zune player restarts. Press and hold the Media button and Home button immediately until the message Connect Zune to Your PC is displayed on the screen. Connect the Zune player to the PC with the most recent version of Zune software installed via the USB cable included with it. Update the Zune HD to the current version of the player software. Follow the onscreen instructions to name the Zune player and selecting the sync options. When the process is finished, you should be able to use the Zune Player. If you have the Zune 4GB, Zune 8GB, Zune 16GB, Zune 80GB or Zune 120GB immediately press and hold the Back button while pressing both the Zune Pad and the Play/Pause button. Continue to hold the buttons until the Zune player restarts and you see the Please Wait message display on the screen. If you have the 30GB Zune, immediately press and hold the Back button while pressing both the left side of the Zune pad and the center of the Zune pad. Continue to hold these buttons until the Zune player restarts and you see Please Wait appear on the screen. The message Clearing contents. Please wait will display on the screen, and then Connect Zune to your PC appears. Connect the Zune to your PC via the USB cable included with it when you see this message. Connect it to the computer that has the latest Zune software installed. Update the player to the latest software. Follow the onscreen instructions to name the Zune Player and selecting the sync options. When the process is finished, you should be able to use the Zune Player.